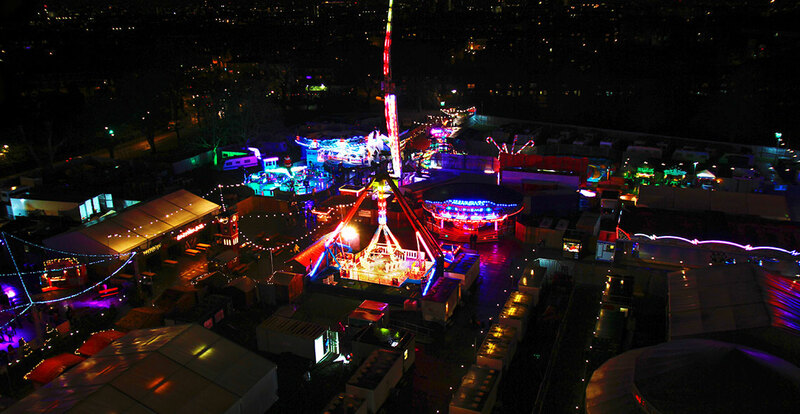 For six weeks, Clapham Common will be transformed into an eclectic wintery bonanza. Anything from live DJs, to disco yoga, to Mexican wrestling will be on offer to visitors. To match Winterville’s style, we are determined to offer an exceptional drinks experience. This means fifteen bars, all offering something different for everyone. Driven by quality, we’ve really pulled out all the stops this year to enhance the customer experience. An exceptional drinks experience doesn’t stop at a great beverage offering of course; our staff are primed and ready to give the best service possible, along with your chosen tipple. Each one of the fifteen bars has its own personality, integrated into the experience of the event; ranging from the Street Feast container bar, to the miraculously high-energy Bar Humbug (at the epicentre of proceedings). Mulled wine and hot chocolate chalets are of course staples at any wintery happening, but watch out for big names and big offerings (did someone say Baileys?). Conscious Consumerism is also undoubtedly on the rise, and with it, a willingness amongst consumers to connect with localities. As well as collaborating with big brands, such as Bacardi, Patron, Grey Goose and Goose Island, we have featured many brands closer to home, which include seven brilliant local breweries. Come on down and see us at Winterville.